Percussion Fitness Brings Healing Percussive Massage Therapy to Parkinson’s Community. BuffEnuff® Power Massager alleviates Parkinson’s symptoms at ROCK STEADY BOXING in the East Bay Area and beyond. NORTHBROOK, ILLINOIS, USA, June 27, 2018 /EINPresswire.com/ -- As more high profile individuals announce they are suffering with Parkinson’s Disease and search for treatment solutions, including 74-year old Former Pennsylvania Gov. Ed Rendell who recently disclosed his condition while urging people who suspect they have symptoms to get diagnosed and get treatment early, the developers of the BuffEnuff® Power Massager announce a new effort to bring the healing power of percussive massage therapy to people who suffer from this debilitating disease. Leaning into their global vision to “Equip the World to Heal,” Percussion Fitness, led by a dynamic team of health leaders including Northbrook-based Licensed Doctor of Chiropractic Dr. Warren Bruhl, Oregon-based Licensed Medical Massage Therapist Jason Auer-Sears, and California-based Cross-Fit Owner Jimmy Greninger aims to make this healing modality accessible to the Parkinson’s community with discounts for patients as well as practitioners treating the disease. Massage therapy has long been recognized as a tool to help people with Parkinson’s, a disease marked with muscle stiffness and rigidity. According to a 2002 study conducted by the University of Miami along with Duke University concluded that Parkinson’s disease symptoms are greatly reduced by massage. Massage therapy, in particular the powerful percussive action of handheld electric massagers including the BuffEnuff® Power Massager, helps people fight to maintain a normal lifestyle while also reducing symptoms and easing pain. A natural alternative to treating pain and stiffness, BuffEnuff’s percussive oscillating motion provides users a drug free way to alleviate muscle and joint stiffness and with its cordless feature, can be taken anywhere. Percussion Fitness has experienced an overwhelming response to the BuffEnuff® Power Massager for its use in boosting muscle recovery, treating trigger points, and easing stress and chronic pain, as well as for its clinical use by physical therapists and chiropractors. Proving to be an invaluable tool for easing pain and helping treat muscle stiffness, BuffEnuff® has also been embraced by the CrossFit community and is used at Cross-Fit Overwatch Gym’s ROCK STEADY BOXING, a unique East Bay program for people with Parkinson’s Disease. An exercise program based on training techniques used by boxing professionals and adapted for people with Parkinson’s disease, ROCK STEADY BOXING is owned and operated by Percussion Fitness Co-Founder Jimmy Greninger who utilizes BuffEnuff® in the program for muscle recovery. BuffEnuff®’s ability to alleviate joint and muscle stiffness, combined with its cordless functionality, makes it the perfect tool for people with Parkinson’s along with those who treat them to enhance in-home care and clinical use. According to Greninger, the program involves regular exercise, but not just any exercise, we offer “forced intense exercise;” medically proven to slow the progression of Parkinson’s disease, along with recovery with BuffEnuff’s powerful therapeutic healing action. Check out Rock Steady Boxing video courtesy of KTVU. If you live in the East Bay Area and have Parkinson’s Disease or know someone who does, contact Rock Steady Boxing East Bay at 925-785-1272 or email info@RockSteadyBoxingEASTBAY.com. In addition, the BuffEnuff® Massager has played a key role in injury recovery for Greninger. “BuffEnuff® put me way ahead of schedule during my post surgery Achilles rupture recovery,” says Greninger. “I’m not only an owner, I’m also a client. For pre-training mobility, BuffEnuff® is the best tool I’ve ever used, creating heat from friction, warming fascia, penetrating soothing heat deep into muscles." Cross-Fit Owners are not the only pros touting the benefits of percussion massage for Parkinson’s. “We’re excited to bring BuffEnuff® to the world of neurorehabilitation, offering healing therapy to temporarily reduce tremors and rigidity,” says says Massage Therapist Jason Auer-Sears. “Although Parkinson’s is a central nervous system dysfunction and not completely resolved with bodywork alone, outcomes are looking very positive for people with Parkinson’s using vibrational massage therapies." Doctors of Chiropractic also embrace percussive massage for it’s healing capabilities. 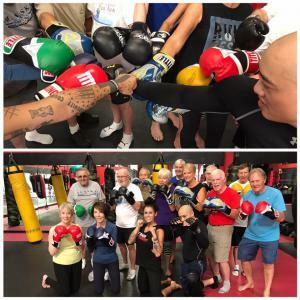 “We’re thrilled with the overwhelmingly positive reaction we’re receiving from people with Parkinson’s through Rock Steady Boxing in East Bay” says Percussion Fitness Co-Founder and CEO Dr. Warren Bruhl. “Equipping the world to heal is our mission and we are focused on bringing healing modalities and advancing massage therapies to support people with Parkinson’s – helping them be more fit, flexible and ready to deal with the disease." 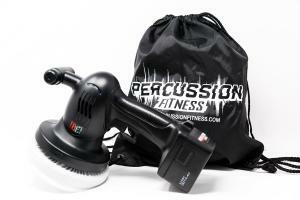 BuffEnuff® Power Massager Standard Package is available online for $199.95 at www.PercussionFitness.com and includes 1 BuffEnuff® Massager, 1 Battery, 1 Charger, 2 Crowns, & 1 Carry Bag. If you or anyone you know is coping with Parkinson’s disease, use Coupon Code BuffEnuff10 for $10 off the Standard or Value Pack. For more information about healing techniques, email percussionfitness@gmail.com or call (833) BUF-ENUF. A company representative can provide information on techniques and tutorials for getting the most out of your BuffEnuff® massager as well as dates for upcoming free training webinars. In addition to Parkinson’s, BuffEnuff® has been used as a tool for easing chronic pain, myofascial pain, and fibromyalgia, as well as a resource for clinical practitioners for enhancing therapies. For more information about the BuffEnuff® Power Massager and the "BE" Healing Technique, or about becoming an affiliate or reseller, visit www.PercussionFitness.com. Chicago Chiropractor and Humanitarian Heals Maasai in Africa with New Percussive Massage Tool.